The Newton Wagon Company originated in New York. When that factory was destroyed by fire in 1854, Levi Newton, its owner, brought his family to Batavia. He built a shop to make farm wagons on land where wheat had grown and which became the center of the village. The first year he manufactured seventy-two farm wagons. 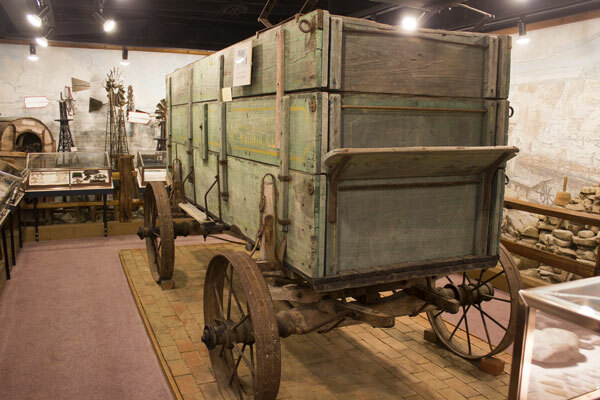 By 1887, it was one of the largest wagon factories in the United States, making 5,000 farm wagons a year. Newton wagons were sold all over the country. The Newton family sold their business in 1916. The new owners made automobile bodies and fenders. In 1931, it became the Batavia Body Company, which made refrigerated truck bodies. These buildings were torn down in 1978 to make way for two strip malls along North Island Avenue.